MLM Mobile Recruiting Basic Tools. Do you understand the tools that are available for recruiting via mobile for your home based business? 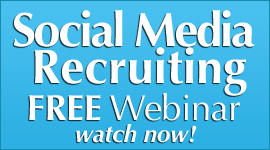 Are you using mobile recruiting strategies for your network marketing business? 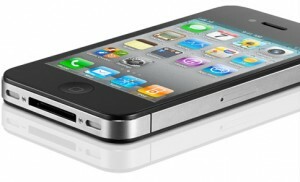 How do you view mobile today- potential or useless for your mlm? Many people view mobile recruiting as not quite ready yet and will be 2 years from now. To some degree they are correct, but Mobile Recruiting today is making HUGE strides in gaining acceptance in the home business profession for recruiting. ViSalus and Vemma both use mobile technology today for recruiting and marketing their products, and your company should as well if they are not. 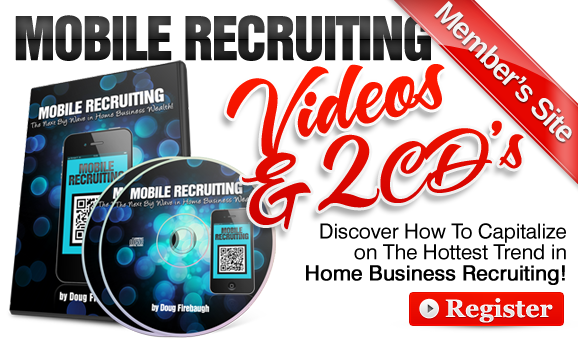 Here are some Mobile Recruiting Tools that will help you form a home business recruiting perspective that also work for corporate recruiting. This was written partly by a good friend who is the # 1 corporate recruiter for a national firm and myself. more than half of all cell phone users hooked up to the mobile net, this option seems to be one to look at for recruiting. There are many vendors who offer mobile web services for clients. These vendors take a client’s .com web page and translate the content into a .mobi or m.website.com format so that mobile web browsers are better able to navigate the pages. Looking out on the web today, only a small number of organizations are using .mobi. A couple of job boards have taken a stab at .mobi. CollegeRecruiter.mobi and EngineeringJobs.mobi are the two easiest to find sites. There does not seem to be any US or European recruiters using .mobi yet. However, South African recruitment consultancy, Trudy Q has a nice mobile site. TrudyQ.mobi allows job seekers to search and view the consultancies open vacancies. Stalwart of social media recruitment innovation, KPMG New Zealand also has a great .mobi option. Many home business owners are starting to also get their own mobile website by “mobilizing” their current website and it truly make a difference as even Google gives you preference to SERPs if you have a mobile version of your site. drive direct response to recruitment advertising. HR consulting firm, Hewitt, made the biggest splash in 2009 for SMS recruitment. The firm partnered with Recruit2Mobile to host a direct response SMS campaign. Job seekers who saw one of several recruitment advertisements were encouraged to text HEWITT2 to 88000 from their mobile devices. They were then sent a text message with a link to a mobile optimized page with a list of the current Hewitt job openings. On the other side of SMS is the ability to apply to jobs using text. Indian job board Naukri gives job seekers who search vacancies on their mobile devices the chance to instantly apply to openings via a text command. Applicants first register a resume on the .com version of the site. Then when they see a job they like on the mobile portal, they select to apply to the job using the resume they have stored. For jobs that are highly competitive, being able to apply instantly from wherever you are gives mobile job seekers an advantage by being first in the application queue. SMS is also great for using for home business as it can get a person engaged in the recruiting process within SECONDS versus days or weeks. An SMS text can take them with a link, to a video about your company and also about YOU. This is a QUICK way to get someone to view your information. 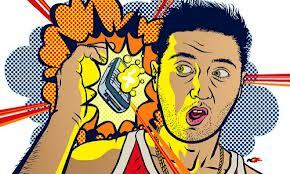 This is a link or an image that when you click on it,you can make a call. Usually for mlm recruiting, you link the click to call number to a voice mail and on the message is a short message about a free sample or invite them to a webinar. You can leave a longer message about your business on the click to call message, but it will have a lot of hang ups as we have found in the usage of it. Click to call or “tap to call” images and links are used in SMS as well as mobile website images and can get a LOT of folks listening to your message about your home business quickly. 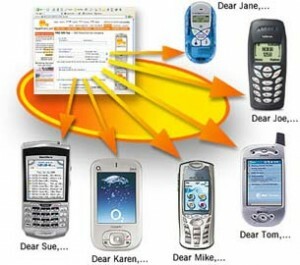 response…usually a URL, phone number or opens the mobile browser to a webpage. It has only been recently that QR has started gaining steam. The first iterations of the technology didn’t ever get backed by a big user base. QR though has been propped up by Google, so it looks like this type of barcode will become mobile standard. users to scan the QR for more information. Home Business owners can integrate QR codes on their business cards, brochures, flyers, invites, trainings, and other printed material as well as your website for obtaining more info about YOU and your opportunity. These are some Mobile Recruiting Tools that are basic but yet a MUST to use in mobile recruiting for your home business mlm network marketing efforts. 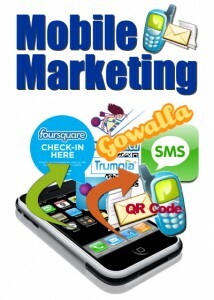 MLM Mobile Marketing and Mobile Recruiting. 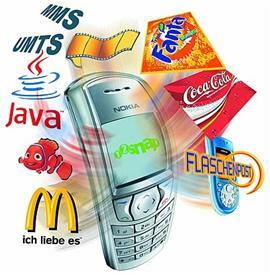 Are you aware how fast how fast mobile marketing is growing for home business? Are you engaging mobile in your network marketing recruiting? Are you using your mobile for building your mlm business? 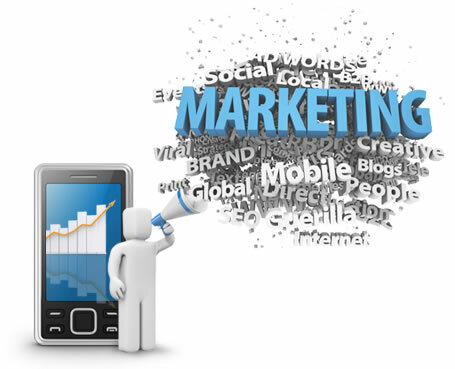 Mobile Recruiting and Mobile Marketing are 2 powerful “still in diapers” marketing tactics that will change the face of home business as we know it. It will transform out profession into a much more laser focused and speedy system, with amazing accuracy. 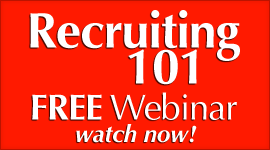 I would suggest you get on the ball and start learning about mobile recruiting if you have not. Here is Part 2 of a 2 a part Mobile Recruiting article series I did with the # 1 Corporate Recruiter in the Nation for a head hunting firm. 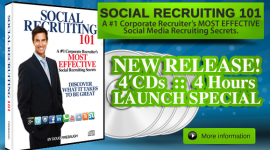 He has become a legend with social media and now mobile recruiting. You can Read Part One here. I want to Navigate the prospect to a page, webinar or video of some kind. This will introduce the company I am representing and the position. In a home business scenario I would think this would be an introduction to the business. S : Yes, I do. 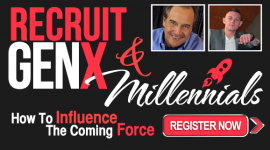 It will take a couple of years to create a solid marketing and highly productive recruiting model, but once it has been solidified and tested for breakage, it could very well take over the social media recruiting frenzy. recruiting going on in social media, but speed can hinder to some degree. D: One final question about mobile recruiting before we take a break. What do you believe is THE secret to mobile recruiting success? S: Hmmm…..good question. Hmmmmm….<thinking> Doug, I would say if there is one thing that really matters- it is IMPACT. Your message and mobile website must create a visual and actional impact that will get the prospect to DO something and not just click away. It needs to be visually appealing and full of hope. I think it should ask a question and also LEAD them somewhere. That is the real thing that people are looking for. Often, people want to be lead down a path and if you have an impact-ful mobile site, then you will find them engaging that site right off the bat. D: What are some of the opening questions you ask when you are in “Fully Engaged Recruiting”…as that is what you call that process? S: Great Question. I always ask “Are you looking for a job or for a secure high paying future?” I would suggest that might be something that your people may use. But say it like…hmmm…”Are you looking for a high paying future of more of the same thing you have now?” These are the type of things that pull people into your website. I would also suggest that they ask, “Are you looking for a high paying secure business from home or more of the where you are now?” I know. That is a bit blunt, but you must sometimes be blunt to get their attention. These are massive powerful strategies for mobile recruiting for your mlm network marketing home based business. The task of talking to people is a big one, as that is how network marketing works. You expose your message and products to people, and then find out if they are going to become a customer or a distributor for them. 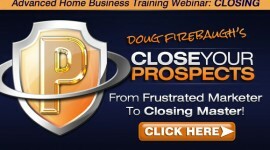 But there seems to be a huge mistake made in the home business market today. Many people chase people away. You heard me correctly. Many people have so little going on in their business that their need for a customer or distributor is so strong that it chases prospects away. And then- the distributor starts chasing them because they have no choice. They are looking for customers and distributors and that prospect is the only thing they got in the pipeline. That is NO way to work this business. It is much like dating. If a young man asks a girl out, and she says, “No,” than he can call her again if he chooses. But if after 20 No’s the young man may not be getting the message that the girl is simply not interested. But what if the young man went to a social, and met 5 young ladies who all let him know they would love to go out to dinner- that makes chasing the first young lady seem a total waste of time and effort. As well as makes the young man seem blind to the truth of who is out in the world wanting to date him. Are you blind to who is out there that would love to talk to you about your business? 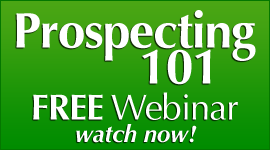 Or do you have your “prospecting radar” on? And if not- why not? People today must see the enormous quantity of quality prospects that are out there- in the social media zone. Frustration is a major part of being an entrepreneur, as well as a Network Marketer. And that many times leads to discouragement and leaving this business. It does not have to be frustrating or discouraging if you simply shift your paradigm about who is available to talk to in the marketplace. It is normal to want to tell you your friends and family about your business. But most folks that you are close to, will not be that interested, because you probably have not succeeded before like you are presenting to them. This conversation lacks credibility to your friend. They simply turn you off in the listening room in their mind. It’s about time we came to the realization that this game of begging for prospects is NOT working. Let’s quit playing that game. Let’s start doing something that makes a whole lot more sense, and start talking to people that are looking for us ad want to talk to us. You need to start getting our message out to those who are looking for you. And quit wasting your time on those folks that will never really be interested. Who are most people looking for? Anyone that will give them some time. That is the challenge. What if you talked to people that at least as much they wanted to talk to you as you to them? THAT is what millionaires in this business do. They do not waste their time on people that are not worth the conversation as far as business. 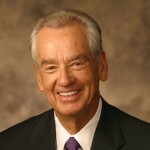 They are PICKY with whom they talk to, and they expect people to come to them – as that is how Leaders do thus business. They look for those who are searching for them. Are you willing to learn new methods of mobile recruiting, SMS, QR CODES, social networking, mobile marketing and social recruiting strategies that will allow you to discover a whole new world out there that you maybe did not know existed? Are you willing to step out of your comfort zone and learn some new tactics that will bring people TO YOU – versus you going to them? THAT is how home business prospecting is going to be worked he majority of the time in the near future. Why not be ahead of the curve and learn the mobile-social media tactics today and not worry ever again about chasing people down just to see if they will let you continue pitch them on your deal and business. If you become a part of this powerful mobile -social Storm, your world is going to shift into a gear that makes overdrive seem slow. I know. And after 26 years, this has me more excited than anything I have seen for prospecting since the cassette tape! This business is that simple. Just making a slight shift in your prospecting and finding leads, and adding the social media part to it, can make your recruiting and prospecting efforts 100 times more powerful. That is why it is called “Co-Traditional Network Marketing”. It is more than just the old ways of doing things. It is the new, more powerful way that when combined with the traditional way, it can explode your mlm network marketing home business. Have you ever been with your mlm home business on your phone and looked up something and the screen was way too big for your screen? This is known as Mobile Marketing and is becoming one of the hotttest marketing focuses in the business world. Everyone seems to be at least starting to look at the possibilities that this marketing model offers the customer as well as the marketer. It it accelerating the ability to market 100 fold. It is bringing possibilities to the marketing arena that have never existed before. And it is creating a buzz unlike anything since social media in 2004. 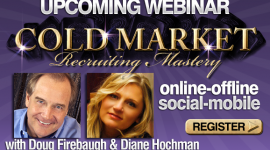 What if YOU could turn Mobile marketing into a Recruiting Power unlike anything you have ever seen? This is what I am talking about. In your home business, being able to market in a way that literally you can recruit at will- anyplace, anytime, with anyone-over your phone. Sound too good to be true? READ ON! Mobile Recruiting I predict will redefine how lead generation is viewed and practiced. The basics of mlm home business lead generation will always be the same. But the power to do it has dramatically shifted with the FUSION of Mobile Marketing and MLM Home business. 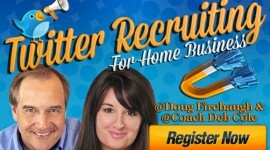 Mobile Marketing + MLM Home Business = Mobile Recruiting. That is why there are 3 main reasons why you MUST embrace Mobile Recruiting and learn it. It is EASY, SIMPLE, and FUN. 1. It Allows You to Recruit to a More Targeted Prospect. When you focus in on Mobile Recruiting- you will find that the prospect is more targeted, as they are NOT just surfing the web. They are totally focused on looking for something as well as seeking answers. 2. It Allows You to Get in their PERSONAL Zone. There is no more personal space then a cell phone screen. It is carried with the prospect, used dozens of times a day, and stays on them. Some people even sleep with their phones next to their bed. THIS is HUGE for recruiting. People are “micro focused.” They want everything NOW. Mobile Recruiting allows them to get the information NOW and then take them to another part of the recruiting process NOW- no waiting. Mobile Recruiting is Mobile Marketing on STERIODS! And YOU need to be a part of it for your home based business. THAT is WHAT Mobile Recruiting is and why you MUST be a part of this -or BE LEFT BEHIND in your mlm home business.